My career goals are to work in the field of Communications. I desire to become a Public Relations specialist. 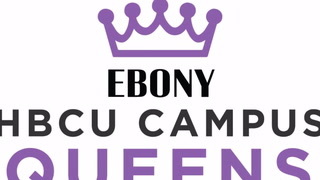 Serving as Miss Rust College has allowed me to make better connections with my peers, develop an even deeper love for my HBCU, and enjoy the new relationships with the faculty and staff of my prestigious institution. I want to encourage high scholastic and ethical standards on the students attending Rust College. My entire platform is based on building a legacy through Embracing Memorable Endeavors, while Reassuring Ambitious Leaders for a lifelong Dedication for success. With my platform I plan to simply prepare students for life after a Bachelor's degree. What will be the next steps you take to secure your successful future? What will you do to impact lives and make the world a better place? These are the questions students will be able to answer and execute because they've been illuminated to do so. Rust College students decided to trust me to continue to carry out the legacy as their Queen, I will expedite my responsibilities as Miss Rust College 2018-2019. "By their fruits, ye shall know them."